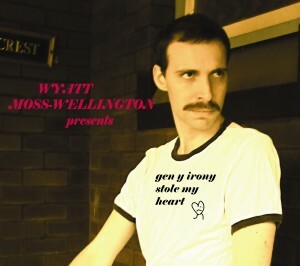 Wyatt Moss-Wellington’s 2011 offering, Gen Y Irony Stole My Heart, is a cycle of 14 musically and thematically diverse songs featuring Sydney luminaries Hamish Stuart on drums, Abel Cross on double bass, Ian Watson on violin, with Louise Nutting and Nina Stamell on harmony vocals as well as Moss-Wellington’s usual virtuosic shenanigans. The album has been called, “sophisticated … touching … enchanting … beautiful” (Sydney Morning Herald); “He can reach places with his writing that others can’t” (Alternative Media Group); and, “Should come with a sticker that reads: Warning: guaranteed to destroy all your staid, stereotypical notions of folk music for good … unerring humanity … scholastic rigor … downright titillating … deranged therapy” (Progression magazine). 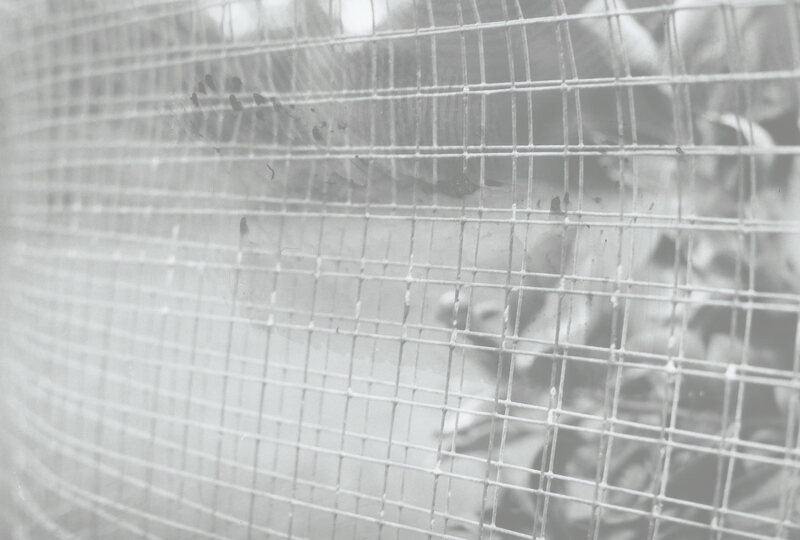 Wyatt Moss-Wellington’s second album is more ambitious and sophisticated than its predecessor, The Supermarket and the Turncoat. Most obviously, his lyrics now share the foreground with wide-ranging sonic adventures. The material runs a gamut from the touching Coming Down (with its soft tapestry of acoustic accompaniment) and all the way to enchanting soundscapes and rabid silliness. Somewhere in the middle lies Alifib, Moss-Wellington’s beautiful rendering of Robert Wyatt’s ultimate synthesis of raw emotion, primitivism and experimentation. Influences are laid bare, but M-W is a distinctive songwriter and guitarist. This album should come with a sticker that reads: Warning: guaranteed to destroy all your staid, stereotypical notions of folk music for good. Treading between pathos and irony while using any sonic resource available is the name of the game for this Aussie folk composer/deconstructor. He reflects the unerring humanity of Shawn Phillips and Paul Simon (the latter’s vocal stylings an obvious reference), the hardnosed scholastic rigor of Bob Drake and Brian Woodberry, and the feckless child-like innocence of Daniel Johnston: Wyatt has absorbed the history of non-sequitur compositional technique while maintaining the dreamy stream-of-consciousness ethos exemplifying works by the aforementioned masters. I need to add at least one sentence about the cover version of Hammond Song originally performed by The Roches. It would have been a hard feat to cover this song, do justice to the original and make it your own all at the some time. Wyatt has achieved this. This is a fantastic version of a fantastic song! Of course I need to mention the lovely voices of Louise Nutting and Nina Stamell which created such great harmonies. Finally, I don’t think i can finish this review without elaborating on my feelings towards PSA: Sour Visits Sonic Chemical Plant In Dark Castle. This track brings to mind múm and Gentle Giant. It’s one of those ambient practically lyric-less pieces of music that when combined with the title gives a vivid sense of scene and story. I love it. It’s dark and dramatic and incredibly well realised. So, Wyatt’s ‘out-of-the-box’ style (even his MySpace classes him as ‘Other’) is well worth a listen and a get-to-know. The album begins with “Intro”, a short, spacey offering with quirky narrative and wild shards of sound effects. The classical/folk of “Coming Down” features lush lead and background vocals and impressive violin by Ian Watson. Perhaps the album’s most beautiful piece is the poignant “Spencer”, reminding me a little of Paul Simon in the vocal department and featuring sweet acoustic guitar. The lyrics are absolutely heartwrenching.